Where do I start? I honestly don’t want this to turn into some long rant (plus I’m a little worried about getting a negative reaction from people). I don’t have the energy to now go & read all the reviews of this here on WordPress plus it’s been out for a few weeks in America and people always just want to move onto the next brand new release. I’ll happily read any comments from anyone who disagrees with me, though. We’ll discuss it & maybe you can talk me into liking this one a little more! I admit that when a movie has the Disney or Pixar name attached to it, I have much higher standards for it so I know I’m probably being a little too harsh on this movie. It’s not a “bad” kids’ movie. 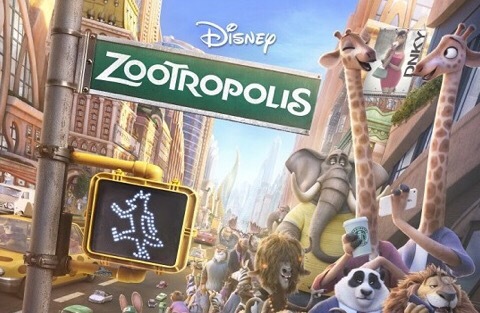 Yes, I’m aware that Zootropolis is first & foremost for kids but it’s still hard to not compare it to something like Wreck-It Ralph, which is a thoroughly enjoyable movie for the entire family. Or The Lego Movie! That wasn’t Disney or Pixar but it was a great, funny film AND it even had a rather deep & meaningful message in the same way Zootropolis does. But the difference is that it felt like The Lego Movie first focused on having an excellent script & characters & making a really fun family film and then concentrated on the film’s fantastic message. 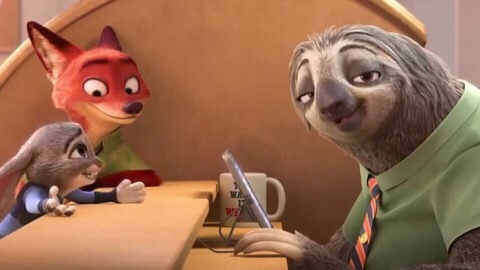 With Zootropolis, it feels like the filmmakers came up with the message they wanted to convey first and then tried to write a story around it, resulting in a rather convoluted and far too grown-up plot that I don’t think many kids will have enjoyed that much anyway. In the end, I think the extremely forced nature of the storyline takes away from the message they’re trying to shove down our kids’ throats. No, wait… To be honest, I think it’s the parents who are having the message shoved down their throats this time. And it’s a message I most certainly agree with but, sorry Disney, you aren’t going to change the ways of the world with a mediocre kids’ film and messy story. I think your message will have been lost on the kids, will have completely gone over the heads of the adults you’re targeting, and will have simply annoyed the adults who do agree with your message and don’t need you to preach to them. 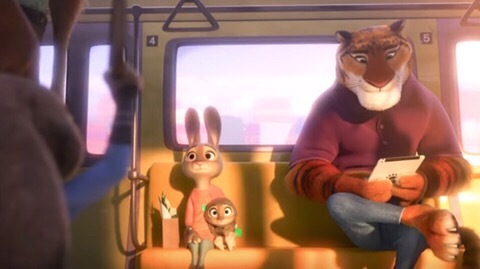 I’ve not yet fully discussed Zootropolis with my kid but I know she understood the message behind The Lego Movie whereas, as I said, I don’t think this one managed to at all get its point across to her and to its young target audience (and she’s very bright, if I do say so myself). 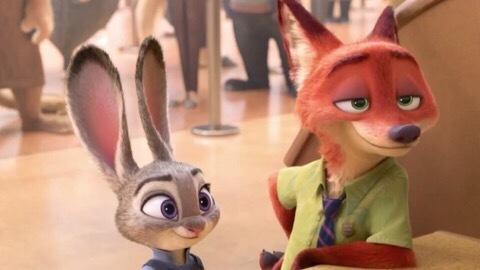 😉 Here’s my attempt to discuss the movie with her: Me: “What was your favorite part of the movie?” My kid: “I don’t know….” *pause* “I don’t think Zootropolis was very good”. Well, I think that kind of says it all. P.S. – Disney, please don’t stick pop stars, crappy songs, and current trends such as stupid phone apps into your movies. You’ve instantly dated your film. Stick with Pixar, who know how to make a timeless classic. 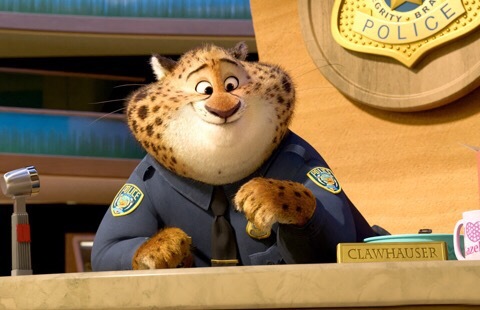 The worst thing I can say about Zootropolis is that I walked out of it feeling like I’d just watched a DreamWorks movie. That’s a step in very much the wrong direction.